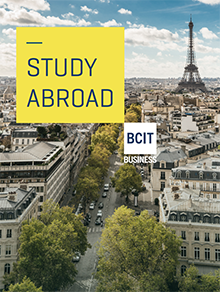 The BCIT Business Management Advanced Placement option is a nine month full-time program designed for individuals that have completed a degree or diploma and want to quickly enter the workforce with a business specialty. Students will learn about all the functional areas of business, while developing entrepreneurial skills to successfully create and launch a product within a new market. This program will also provide students with the necessary leadership skills and motivational techniques to effectively manage an organization. Graduates of the program will be able to utilize accounting tools, analyze business problems, and discover ways to improve overall business profitability and efficiency. The Business Management program hosts annual industry networking events for students to meet and interact with industry professionals. These events also allow students to learn about different industries and possible career paths. Events include ReConnect, a chance to meet Business Management alumni, as well as the very successful Industry World Café. The Café provides the opportunity for students and alumni to have meaningful conversations with industry leaders from all sectors of BC’s economy. Jim Shopland, President, Shopland Health Connections Inc.